Looking for something fun to do this Easter weekend in Dallas – Ft. Worth? Here are a few events including a couple of pet friendly ones too! Enjoy kid friendly activities, photos ops with bunnies, concerts and egg hunts throughout the weekend. Visit the website for details. Friday, March 30 from 7-9pm. Free community-wide family event at Klyde Warren Park: concert, Easter egg hunt, food trucks, kids activities and more. Visit website for details. Egg Hunters collect as many eggs as possible from the pool in the time allowed. Open to ages 1-12. (Ages 6 and under must have a parent in the water.) Bags provided to collect eggs. Pre-registration required. Please look for age group when registering. Arrive 15 minutes early to sign in. Swim attire required. Get a photo with the Easter Bunny. Treats given to participants. Entry is $10. Preregistration required by March 29. This FREE event at The Fields will have inflatables, petting zoos, crafts, and pictures with the Easter bunny. Food will be available for purchase. Gather your family and join us for this fun, free event. The Miracle Weekend event kicks off at 11am with our food-trucks, bounce houses, and other family friendly activities. The helicopter Easter egg drops will begin as follows: 11:15am 4 years old and under, 11:40am 5-7 years old, 12:00pm 8-10 years old. All of the Miracle Weekend Easter egg hunt festivities wrap up and finish at 1pm. Hop on over to Coppell’s annual EGGstravaganza event, full of activities including bounce houses, face painting, music, photos with the Bunny and more! Egg hunts begin promptly at 10:30A​​M for kids up to age 6, and at 11:00AM for kids age 7 – 10 years. Candy and toy-filled eggs are in abundance at this event, so dust off those baskets and join us for a morning filled with fun! 4th annual Easter Bacon Hunt; proceeds benefit rescue dogs. There will be a costume contest, so bring your dog out in their Sunday best to win prizes and take pictures with the Easter Bunny. The Snackin’ Waggin’ will also be there for you to pick up your dog’s favorite treats and an Easter basket. Rescues will be on hand with adoptable dogs and TCAP will also be there with low cost vaccinations from 12-2pm. Children 10 and under will hunt for thousands of eggs and prizes. Kids will be divided into age groups (5 years & under, 6-7, 8-9, and 10 years) and will participate in different hunts. Photo opportunities with the Easter Bunny, arts and crafts, face painting and other entertainment will be featured. Collect and play with Easter Eggs in the water and turn them in for a sweet prize. Face painting and a bounce will be available weather permitting. Mustang Park is partnering with Irving Bible Church this year for a complete community eggs-perience! The Easter Bunny will be there as well as face painters, balloon artists, petting zoo, bounce houses, entertainment on the IBC stage and a helicopter egg drop! Food will be provided by In-N-Out Burger. Free admission. Grab your baskets! Plano’s biggest historic Easter Egg Hunt takes place Saturday March 31st at the Heritage Farmstead Museum. 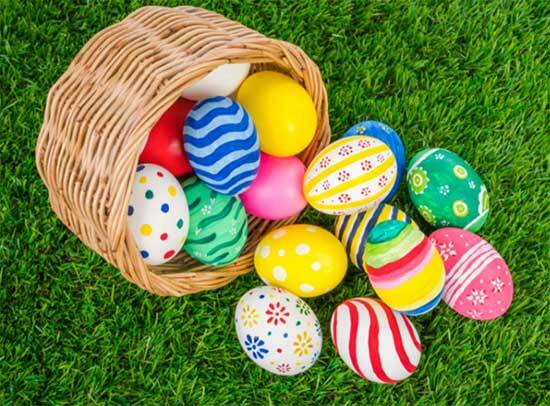 Children are invited to hunt for more than 5,000 eggs on the Museum’s Lawn and in the North Meadow. The Museum grounds will be sectioned off into age-appropriate areas so everyone, including toddlers, will have an opportunity to participate. Museum gates open at 10:00 a.m.Egg Hunts at various times.